Enter one or more email addresses and add your software stack to receive weekly security alerts when we find vulnerabilities that affect you. Stay informed about your security. 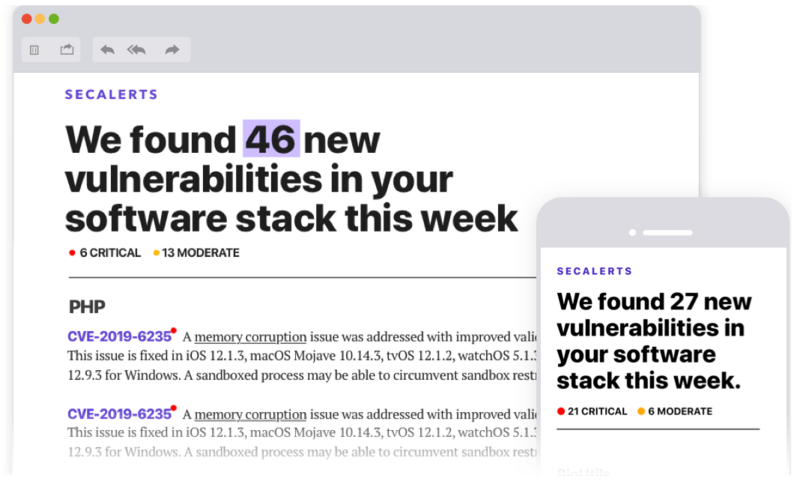 You will receive a free weekly email with a round-up of all vulnerabilities that affect your stack as well as relevant security news and articles. © 2019 SecAlerts. Terms and Conditions.